How is a layout that contains different scaled views created? A complex project has many drawings, each one of them containing different types of views (elevation, sections, isometric views, etc). 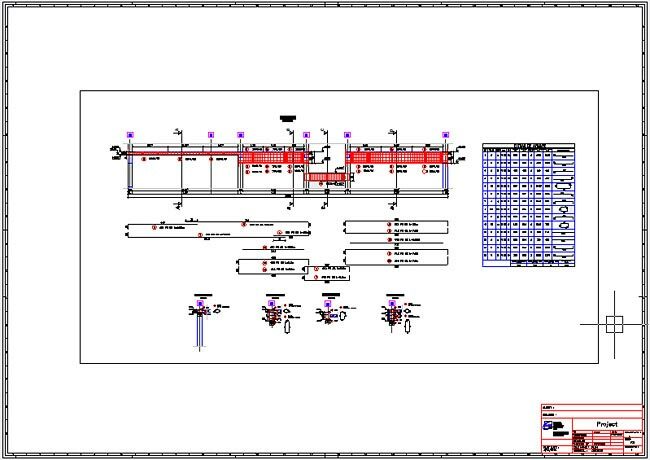 For example, a layout for a continuous beam can contain a top view, an elevation, and some sections. Each one of these types of views can have different scale factors. 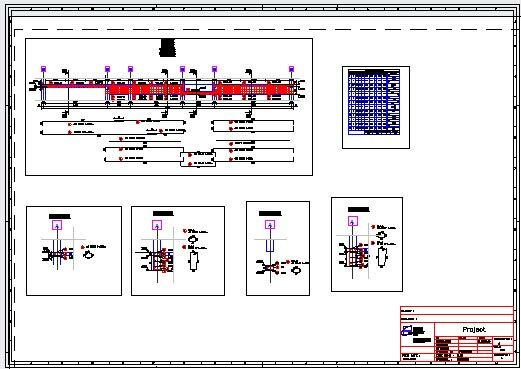 Advance Concrete provides options to create these layouts using functions in the "Documents" mode. To create a layout with different scaled views, first create a "New layout" (for this example, A1 paper size with a frame and a title block). 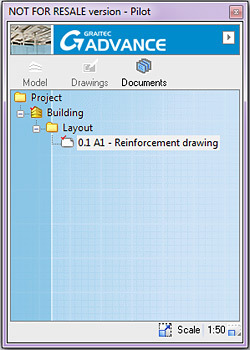 When a reinforcement drawing is dragged from the "Drawings" workspace to the "Documents" workspace, Advance Concrete automatically creates a single viewport for the whole drawing (all the elements will have the same scale - the viewport's scale). The new viewports are created by copying the existing ones multiple times. 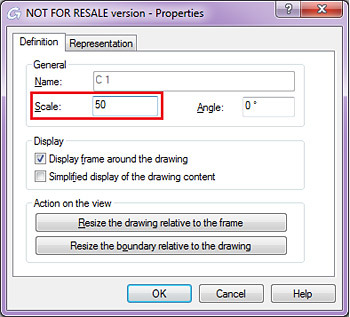 The viewport's scale can be edited using the Smartbar options or from the properties window. To have a good visual quality for the symbols, create them using a different scale from the other element's scale (e.g. reinforcement bars). For example, to detail a reinforcement section with a 1:25 scale, the reinforcement bar symbols should be created using a 1:50 scale (during the creation of the symbol use "S" and the multiplication factor "2") or create symbols after the Pilot's scale is modified.